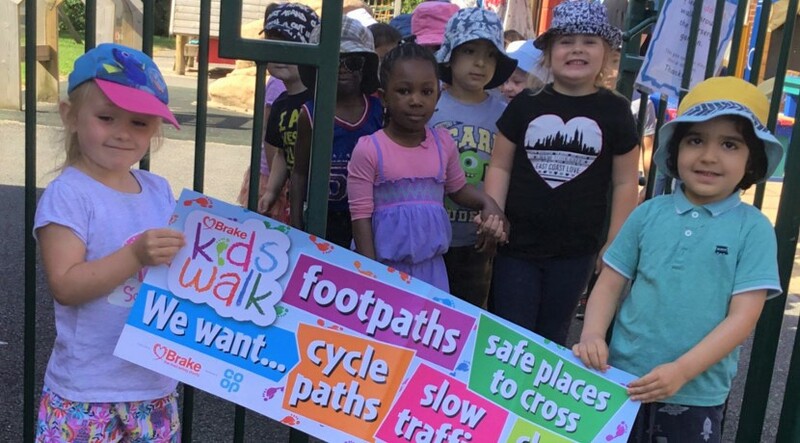 Wednesday, we took part in ‘Brake’s Kids Walk’. ‘Brake’ is a road safety charity, who organise this national event to ensure we’re all staying safe near the road. As adults, we all know the dangers of being near the road. Everyone uses them for walking, cycling and driving, so the dangers can affect everyone. 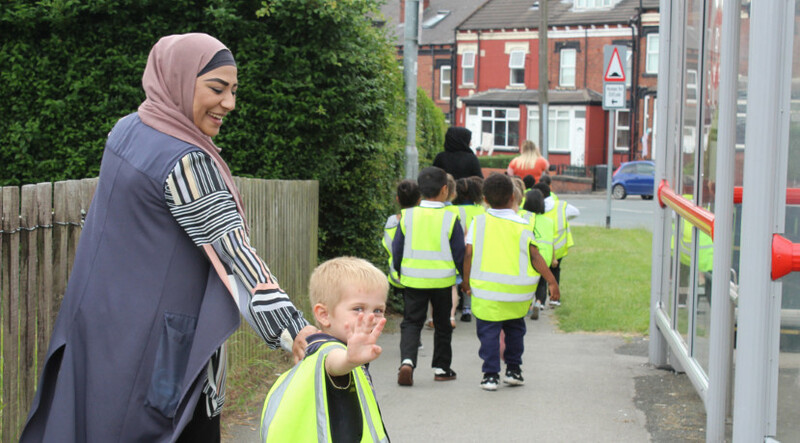 It’s important we all make sure our children know how to stay safe and are confident around roads, so that we can continue to use them together. 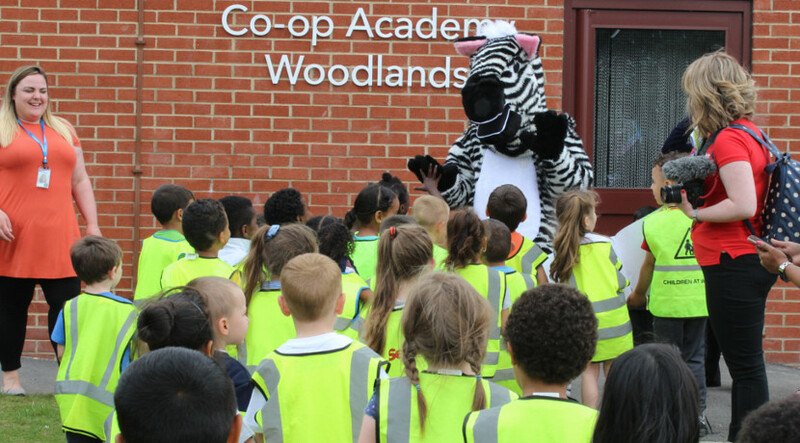 For the day, we’d arranged sponsored walks that took us all around our school. 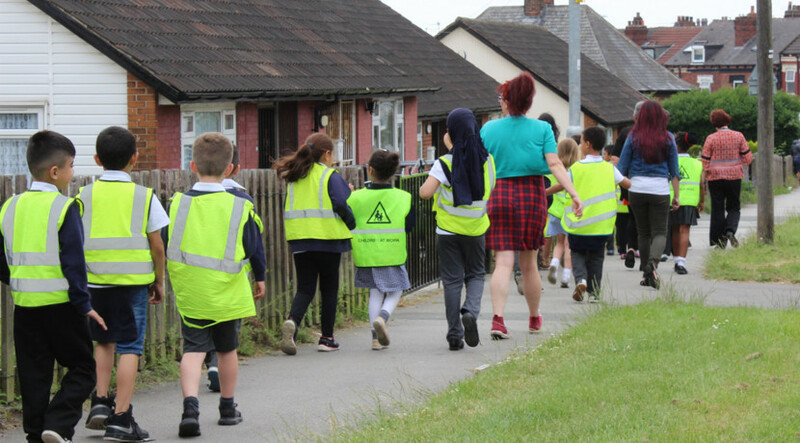 Each class took turns to complete their sponsored walk, while learning and following safety rules and tips. As it’s such an important topic, the radio station Radio Aire, visited and interviewed our children too! We had a great day, enjoying the Sun and raising awareness for such an important topic. Thank you to Brake and Radio Aire, for visiting and a massive thank you to everyone who donated to the sponsored walk.